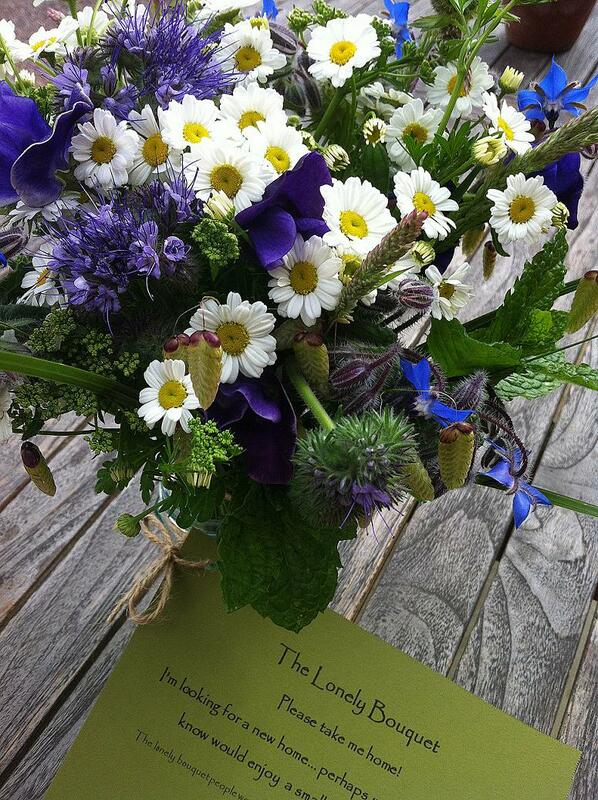 Have you seen a lonely looking bunch of flowers sat in a jar on a bench, at a bus stop or outside a shop? It could have been a lonely bouquet – a bunch of home grown flowers left to be found and taken home. Sunday 30th June is (inter)National Lonely Bouquet day – a day when gardeners, florists and flower growers can spread lots of flowery happiness using small bunches of flowers. It’s one of those ideas that are simple but brilliant (simply brilliant? ), so good in fact that many people haven’t waited until the day itself. There have been lonely bouquets left in towns and cities all over the world already. You can see just where from the map here, or check out some photos of the flowers on Facebook (https://www.facebook.com/TheLonelyBouquet) or Twitter (#lonelybouquet). 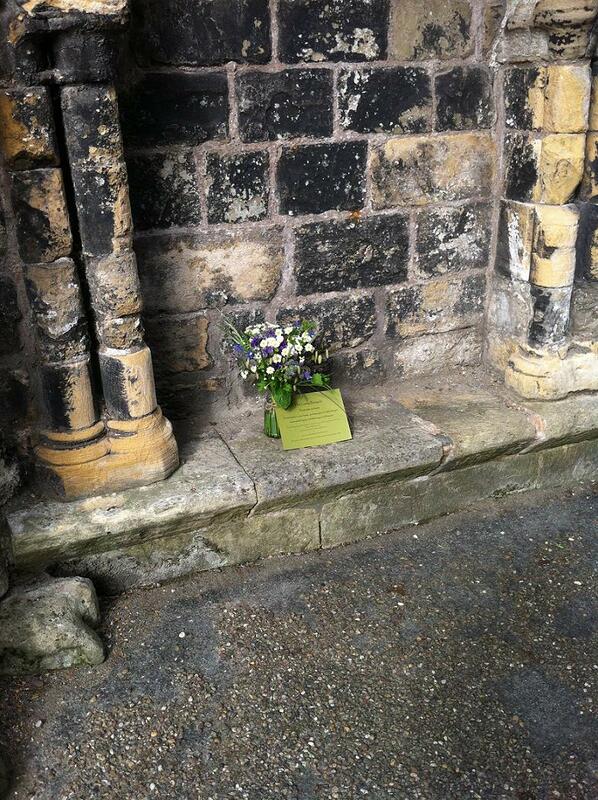 My own contribution to (inter)National Lonely Bouquet day was left at the entrance to the museum gardens in York earlier today. We were on our way to visit some friends and left the jar of flowers, together with a ‘Lonely Bouquet’ label as we passed. The children especially liked the idea and insisted on checking on progress as we walked back… they were very pleased to find that the flowers had gone. If you’d like to join in with the Lonely Bouquet movement, it’s very easy. All you need to do is cut a bunch of flowers from your garden and arrange them in an old jam jar. Then attach a ‘lonely bouquet’ label and leave the jar in a public place. Wouldn’t you just love to find a beautiful bouquet of freshly picked flowers looking for a home? 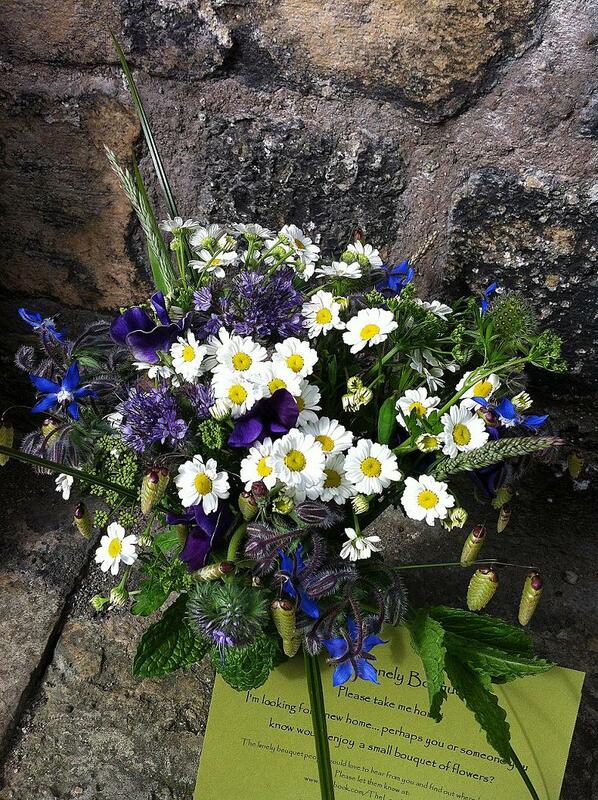 What a lovely idea, flowers can really brighten someones day! I drove past a bus stop yesterday and saw a jar of flowers that I assumed was a lonely bouquet – made me smile just seeing it there! That’s so sweet – I love this idea! Such a great idea – and so simple too. I hadn’t heard about the book campaign – such a great idea for sharing and recycling books. I’ve done the book one that Cathy mentioned, but this is the first I’ve heard of the flowers – fabulous idea! What a sweet idea…a bouquet of flowers brightens anyone’s day. Must admit that while the idea is to make someone happy by giving them flowers, I was really pleased that someone had liked the bouquet enough to take it home! Isn’t it great that Emily has taken the time to encourage anyone and everyone to join in? I hope your flowers have gone to a nice person and the person is looking after the flowers well. Thanks Jack – I hope so too! What a great idea. It costs nothing and could really make someones day. It’s a bit selfish really, but I liked choosing and putting the flowers together, and then getting the children involved in finding somwhere to leave the jar. What a lovely idea. Ruby is always filling jam jars with flowers at the moment but they definitely don’t look like your gorgeous bunch! I bet someone was so happy to find them. I’m sure Ruby’s flowers are just beautiful! I remember loving those freshly picked, but slightly crushed, bunches of flowers that my daughter used to give me when she was younger. What a good idea! I haven’t heard of this before. I’ve recently found your lovely blog btw and have enjoyed reading about your growing experiences and recipes. Thank you! Once I’ve finished with a bit of ‘housekeeping’ here, I’ll be popping across to your blog for a catch up. Such a lovely idea Sarah! I’ve never heard of this but love the idea. I do the same thing with my surplus veg and leave them on the village seat – they always disappear very quickly.